I think that is what Linda oh I mean Agent Wade called today’s project. It is not your typical log cabin but it is as beautiful as you can imagine. This week has been a week of sorts. My machine messed up worse than you can even think of. 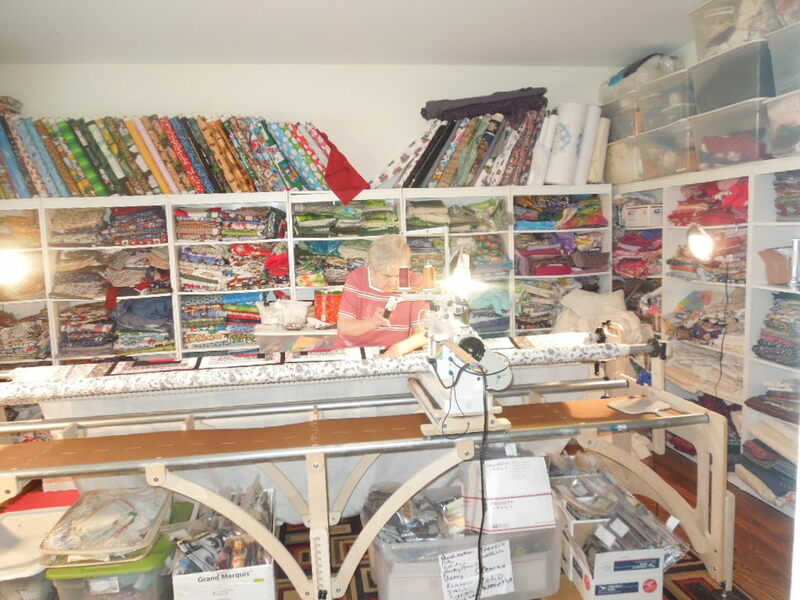 Between Google and whatever else I could find, Jamie Wallen and all the best of the best of the long arm quilters I finally think I have the tensions pretty well set. Yes it even meant a trip to another town with my pieces in a bag to show the technician and get some idea from the long arm doctor as to what to do. I continually work daily on it. I believe before it is over I can go to work for Tin Lizzie I have gotten to know that machine so well. You know my father was a sewing machine mechanic. He also could put the best zippers in clothes. I guess I have it in my DNA. I do wish I could take Tin Lizzie training so I would know how to do everything perfectly in tuning up my machine. Well here it is along with pictures. Linda is really working Lizzie! I bought this from my neighbor this weekend at her awesome garage sale. It is a cigar box. 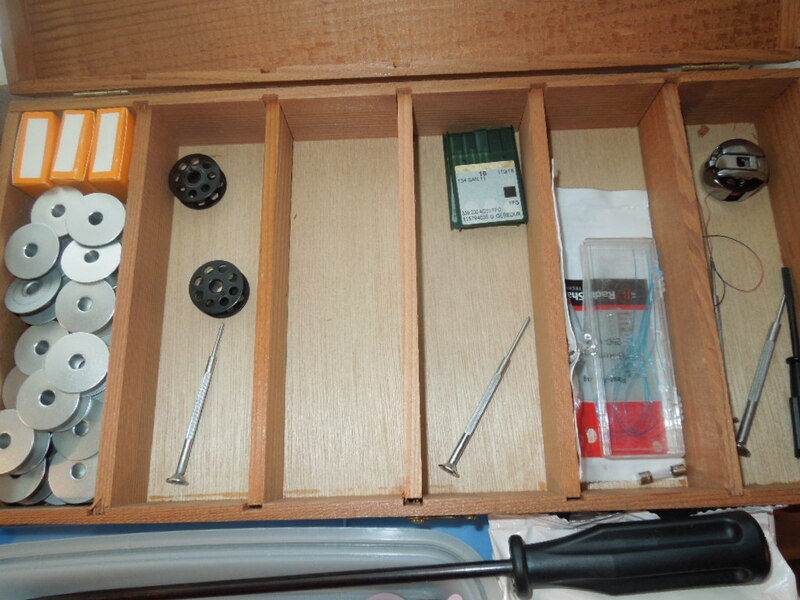 It is going to hold a lot of bobbins and supplies. I have been working on these piano keys. There is enough here for ten piano’s or so it seems. This is my project. You will see it soon very soon. 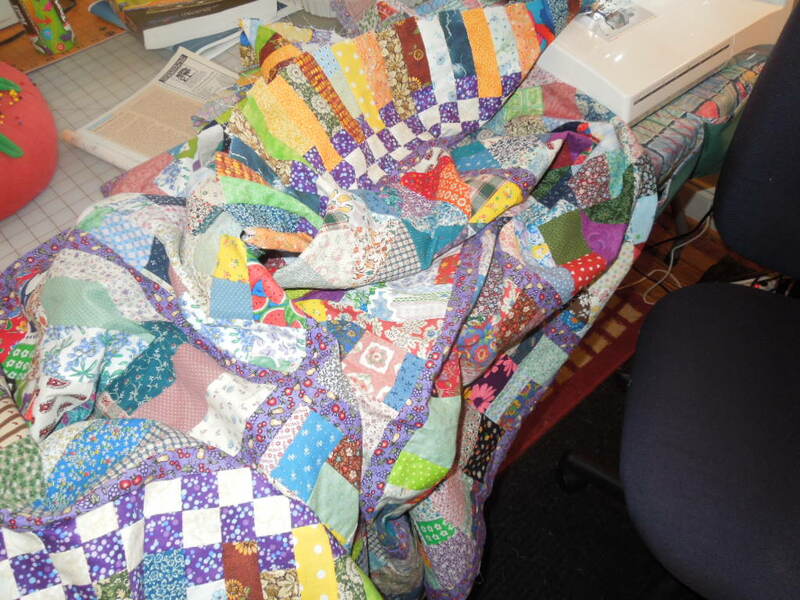 Here is Linda’s beautiful quilt. Thank goodness the machine did not give us one bit of trouble today. 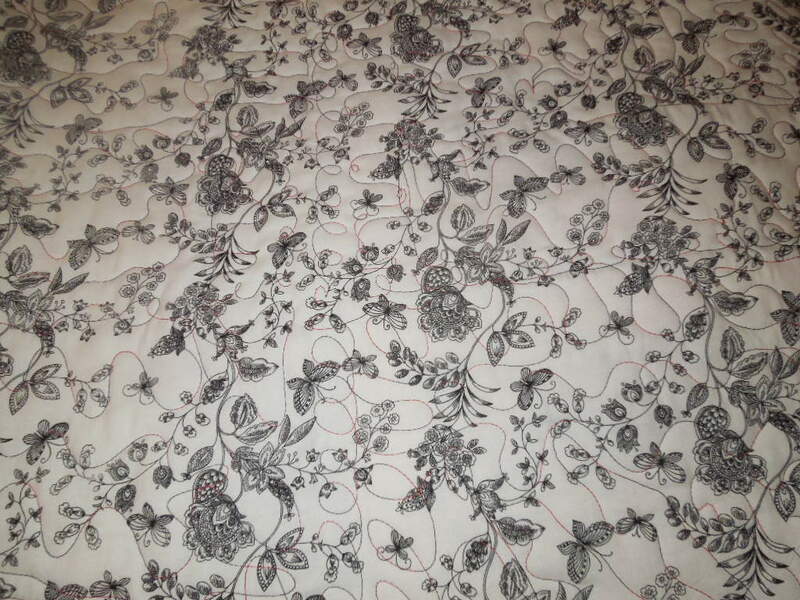 The back of the quilt. I am in love with this fabric. (she gave me the scraps after I shamelessly begged.. Well I did not beg I just stated how crazy I was about it.) 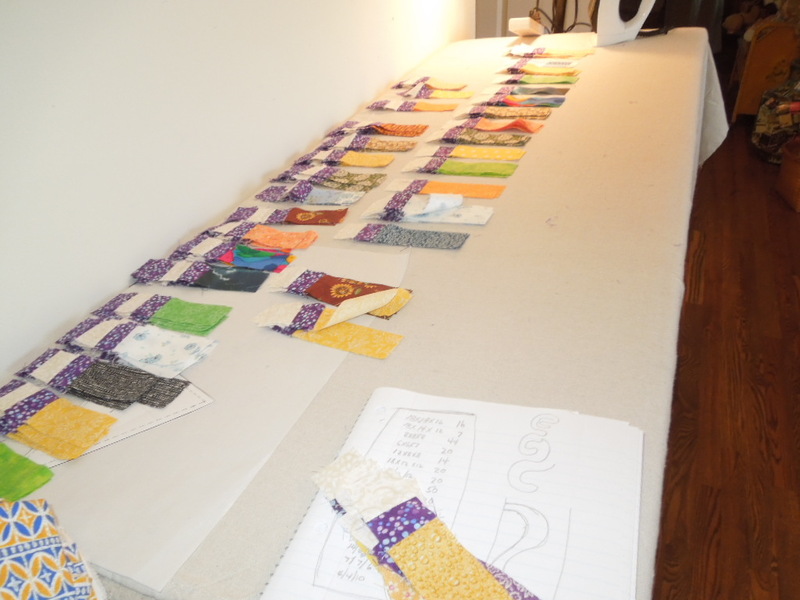 I have a lot on my list to do this week along with working some sewing in the mix. Stay tuned. As always THANK YOU for reading my blog. 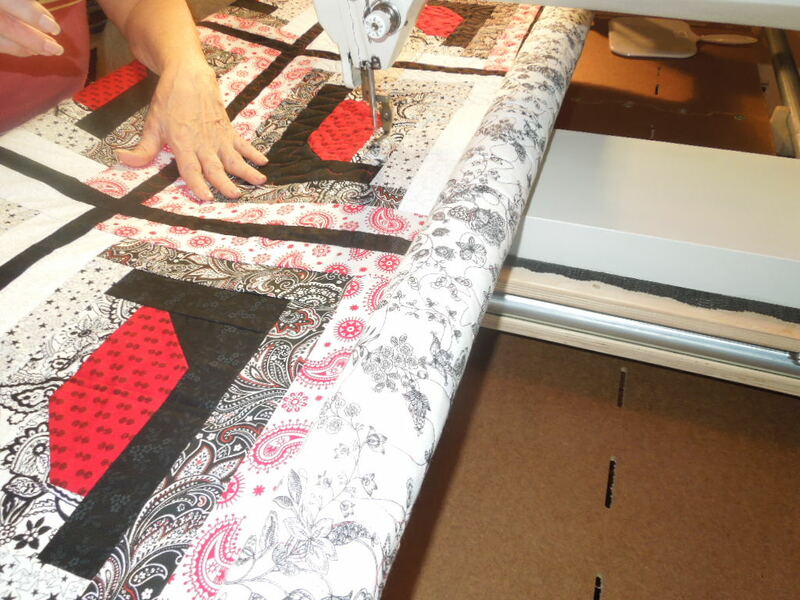 4 Responses to Not Your Typical Log Cabin Quilt. 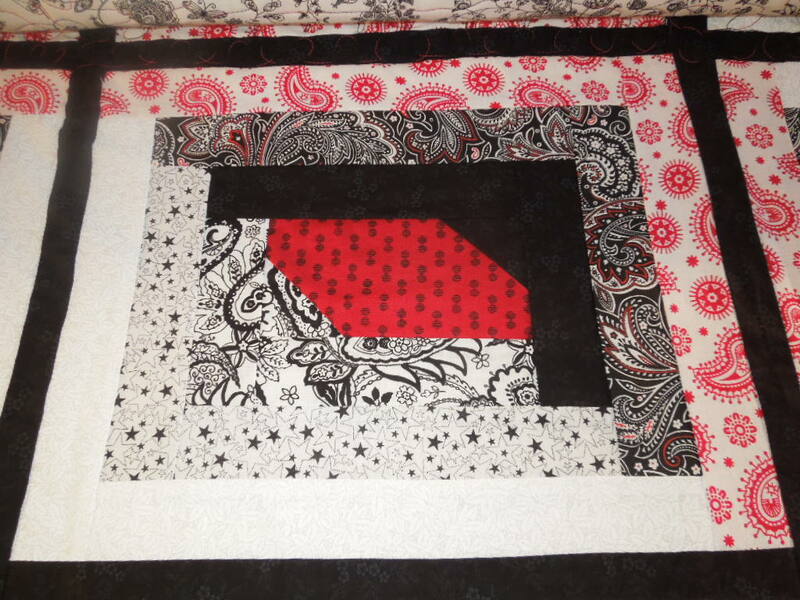 Another nice quilt from Linda. Hope all the problems are gone from TL. 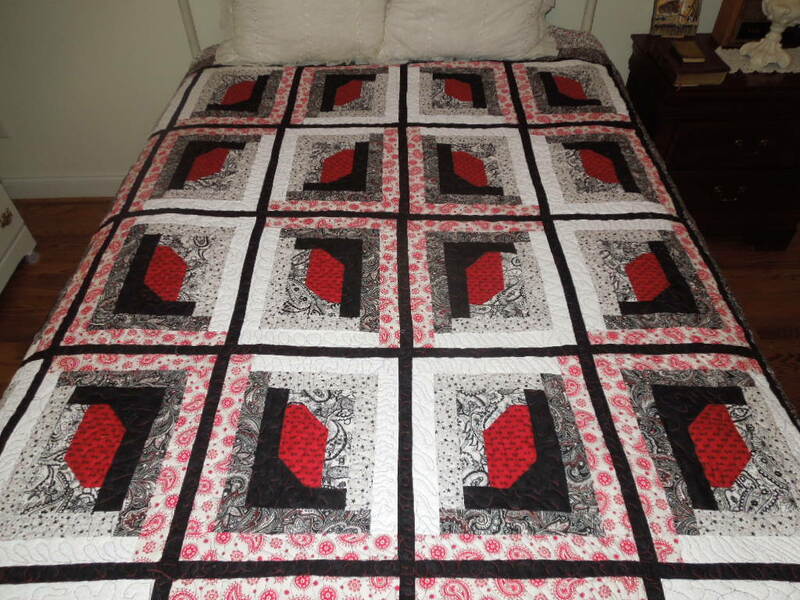 Hey, you can make a whole quilt from piano keys. 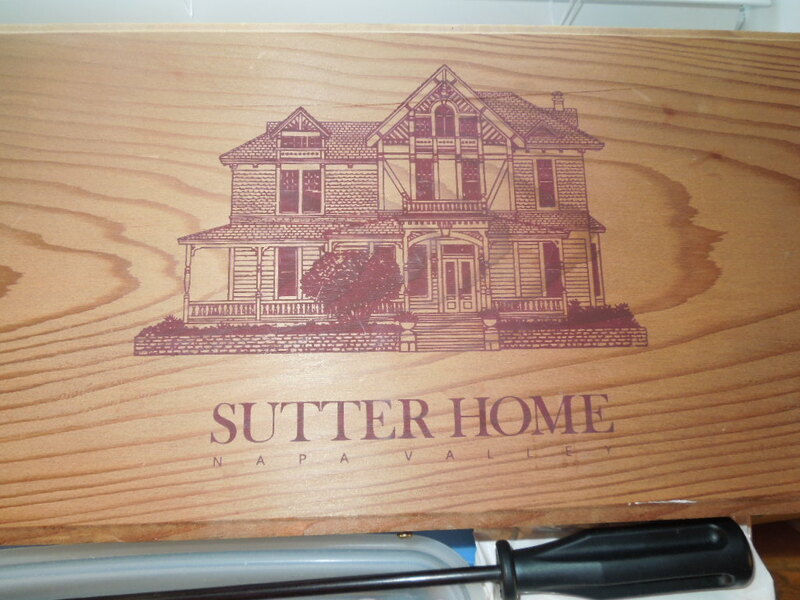 I think rather than a cigar box, it’s a wine box: Sutter Home from Napa Valley. Whatever it is, it looks great for storing little things. Very neat unusual center in that Log Cabin. Love it! I would have thought the same thing but it is tiny and a wine bottle will not fit in there unless it was miniatures.